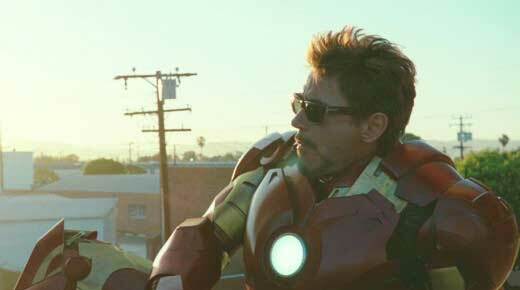 The other day we were taking about the cool shades worn by Robert Downey Jr. in the movie Due Date, and in the couple of days since it’s occurred to me that this was far from Downey Jr’s only flirtation with the dark glasses. 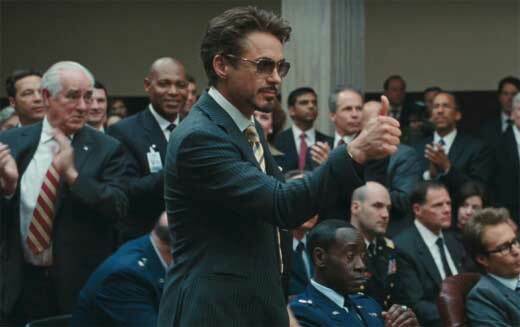 Looking back at Iron Man 2, for example, you’ll see no fewer than three Tony Stark sunglasses over the course of the movie. The frames are Initium Admiral’s Club Polarized sunglasses in a sort of tortoiseshell style. This particular style is discontinued, but you can still get an awesome pair with polished black frames and gray lenses. I’ve no idea of the price of the second frame, but since it’s Iridium you can probably count on a hefty price tag. The final pair, by far my favorite, can be found while Stark is decked out in his Iron Man uniform. At first I thought these were Ray Ban Wayfarers until I noticed the detail beside the lens. I love Wayfarers but these are, if possible, even cooler. These are Von Zipper Fulton frames – they’re in the basic Wayfarer style, but a little chunkier around the arms. Here’s a quick screen grab with a link to the stockist. Best of all, my favorite Tony Stark sunglasses are by far the best value, on sale right now at a little under $80. I ordered a pair for myself the other day, and I’m checking the mailbox every couple of hours, it seems (which is crazy, as there’s only one delivery a day). I don’t know the costume designers on Iron Man 2, but they seem to have a direct line to my style bone. Besides, the glowing Amazon reviews make this one a no brainer. Tony Stark is a stud and these glasses are sweet. I would love to cruise down the street with these on and I may not get the girls that Tony does, but at least I can try.